Anything can happen when you put only seven players from each team to a full-sized pitch. And when you set the halves to only seven minutes, there is very little time to recover from a crucial mistake. Anything and everything did happen in Tucson, Arizona, last weekend, where University of Arizona upset Cal rugby with a 31-26 overtime win in the final, stopping the Bears’ hopes for the sixth straight PAC 7s title. 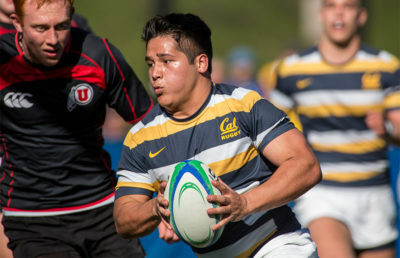 “7s is a funny game,” said Cal head coach Jack Clark. Saturday started as usual in Kino Veterans Memorial Stadium, where the Bears blew past Arizona State with a 26-10 run. The Sun Devils scored two tries at the end, but it wasn’t close to enough. Their second match-up proved to be tougher for the Bears, as they defeated Utah 24-7 after giving up an early try to the Utes. Clark used 14 of his 15-player roster in these first two matches, which proved crucial as two important Bears, senior center Aidan Flynn and senior wing Zac Tavenner, got injured in the first day and couldn’t suit up for Cal on Sunday. Tavenner finished the tournament with one try in two games while Flynn couldn’t score in his only appearance. “I really had to change what we were doing and it created a domino effect of change,” Clark said. Day two of the PAC 7s championship provided a lot more excitement. First, the Bears faced UCLA for an in-state match-up, and the match did not start as Cal fans expect to see. The Bruins led 7-0 into the half time after a couple of mistakes prevented the Bears of scoring. 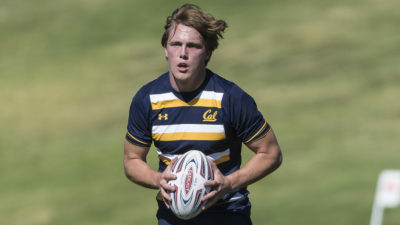 But Cal picked up the slack in the final seven minutes to cruise into the final with tries from young Bears, sophomore center Christian Dyer and freshman scrumhalf/center Marcus Shankland, who made his tournament debut. 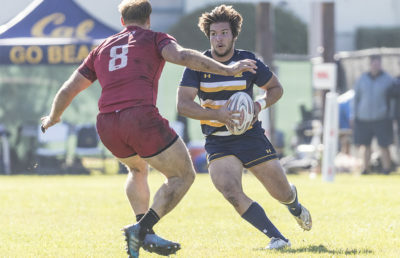 Freshman fullback/center Seth Purdey also got his first start in this semi-final, which featured a different starting seven for Cal as each of the four games did in the tournament. The unusual comebacks continued in the final, as Arizona scored 19 unanswered points to respond to Cal’s 12-0 start, managing to wrestle away the lead in the second half. From there on, Cal and Arizona fought back and forth until Webb scored a try at the end of regulation with no time left and senior center/flyhalf Matthew Coyle converted to force overtime. However, it took just 12 seconds for the Wildcats to get the win as senior wing Dante Weeks ran through the open field for a try, capitalizing on Cal’s defensive gaps after their kick-off. Just like that, Arizona had snapped Cal’s streak of five straight titles at the tournament. But that’s how a rugby 7s game works. Even when you’ve seemingly come back, old mistakes come back to haunt you. Cal had the chance to put the game away in the first half when they were leading by 12-0 but a turnover prevented the Bears from increasing the lead to 19. That same turnover was returned for a try by Arizona and Wildcats followed it with a quick tip of a penalty to tie the game at half. Even though Bears had pretty good performances in the fall, they came a little short in turning their production into results. Now, Bears will get back to practice for 15 aside matches starting in January and try to repeat their 2017 National Championship. “We have a lot of work to do to become the team we want to become,” Clark said. Can Sariöz covers men’s tennis. Contact him at [email protected].